A child whom Nagisa befriends in the midst of the conflict against Big Gold. Nagisa protects Sayoko and her injured mother from a vedim disguised as a police officer, using a bracelet given to her by Iczer-1 for her own protection. Sadly, Sayoko's mother is later transformed, becoming a vedim herself, and a regretful Nagisa is forced to destroy her to protect Sayoko. 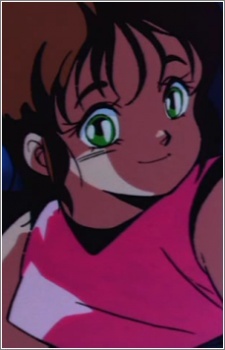 Sayoko later encourages Nagisa to fight during the battle against Iczer Sigma, and nearly dies when Iczer-2 attempts to crush her underneath Iczer Sigma's massive foot. Fortunately, she is saved at the last minute by Iczer-1. Nagisa often refers to her as "Sayo-chan".